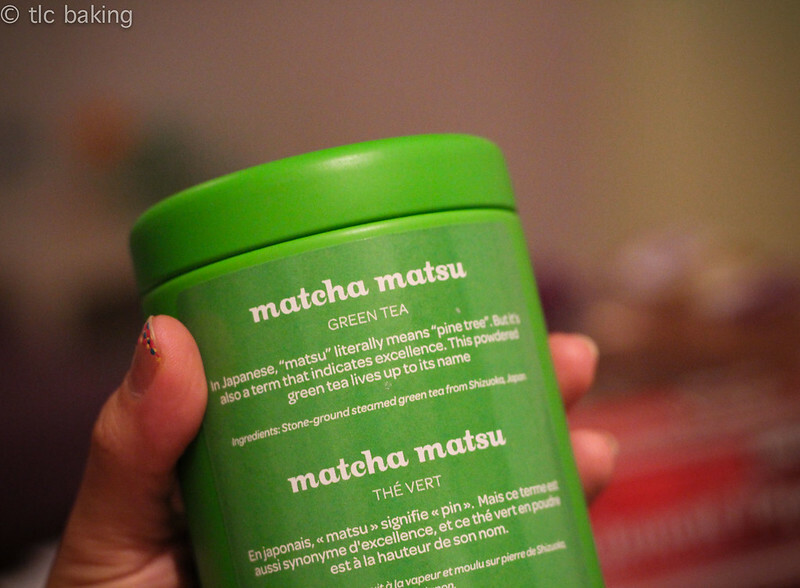 matcha – tlc. | tender love and cupcakes. What can I say about fourth week? I could tell you about midterms. I could tell you about cheerleading, or Homecoming. I could tell you about the color-changing leaves, the emergence of peacoats and boots, or the fact that I still pick the wrong days to walk outside without an umbrella. …or, we could pretend it’s still September, and I could tell you about the most incredible edible feat of science to come out of my kitchen. 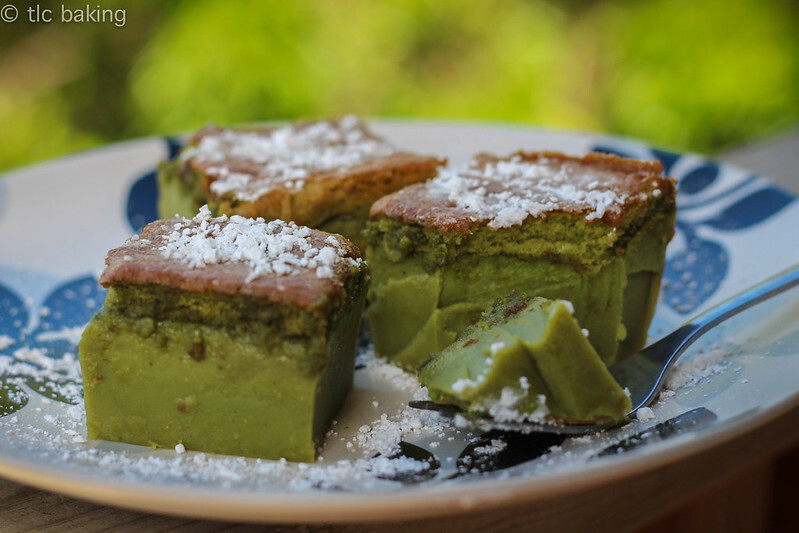 I found the recipe for these while scouring the Internetz one summer day for the perfect green tea dessert. I had a hankering for a sweet green tea something-or-the-other, and dangit, I was determined to listen to my gut. Literally. 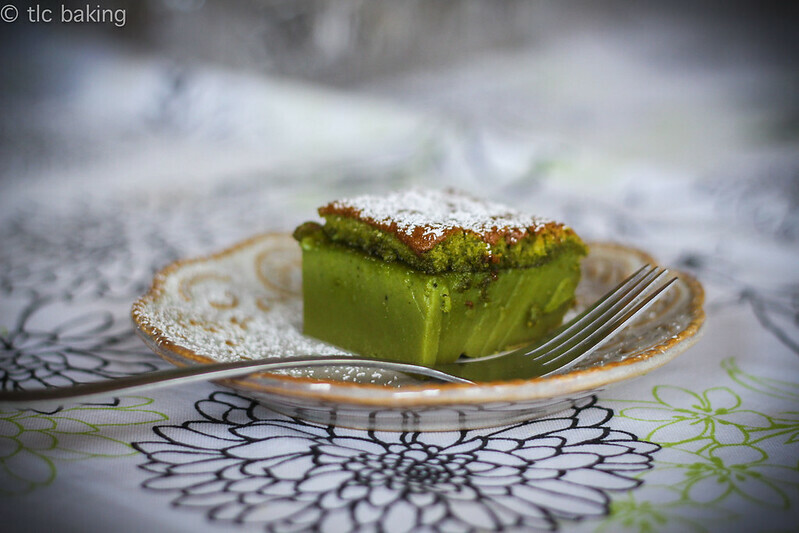 Lo and behold, the ever-reliable raspberri cupcakes has a recipe for magic matcha custard cake. Well, okay, no, not actually. But it might as well be magic for all the awesome science it takes advantage of. These custard cake bars call for an egg yolk-based milky batter with whipped egg whites folded in at the very end. 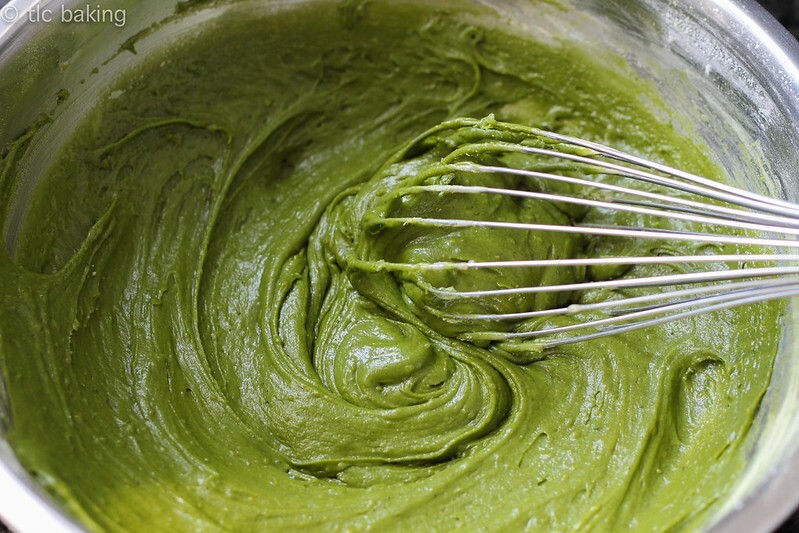 The whole (brilliantly green) bowl gets poured into an 8×8 pan, laid carefully in the oven so as not to spill any of the mixture that is only too eager to end up in a puddle on your floor, and promptly forgotten about until the timer goes off. 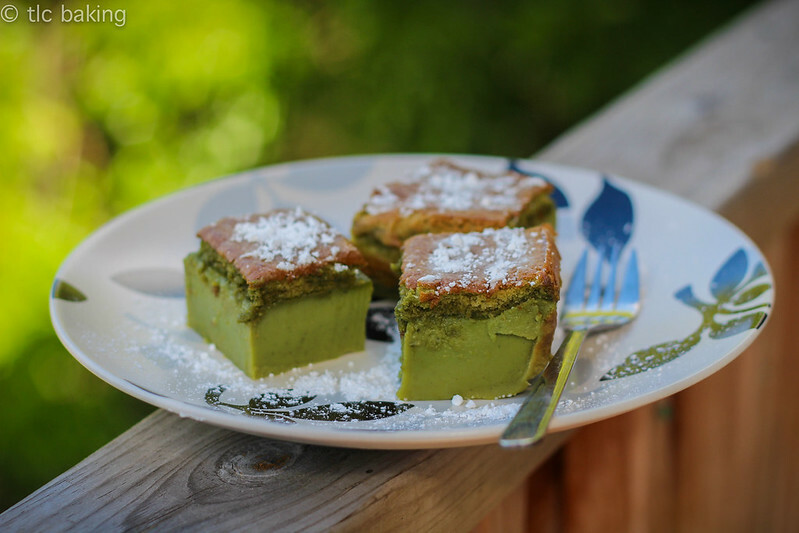 That single-batter pan you put in the oven has since split into two distinct layers: a fluffy green tea egg white cake, thin but substantive, covering a thick, chewy mass of matcha custard that is perfectly reminiscent of green tea mochi. What. One bowl, two layers? But how?! Let’s take this moment to talk about eggs–specifically, egg whites. 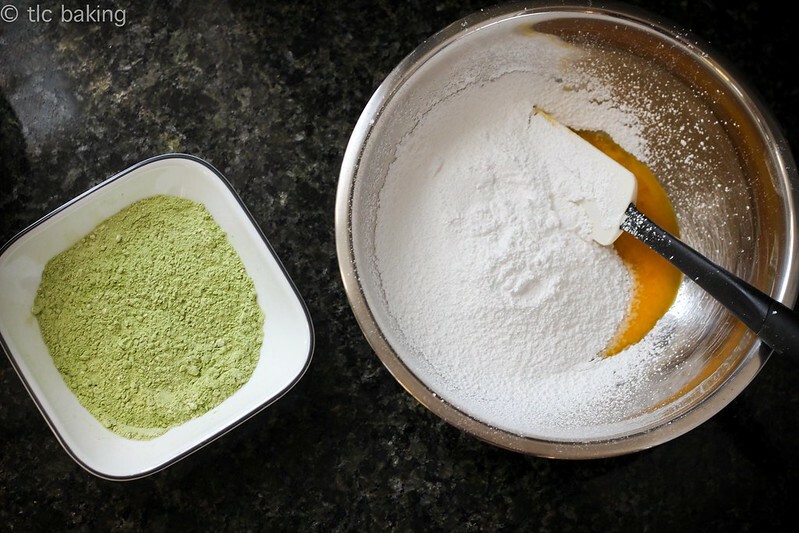 You’ll find plenty of recipes that call for “egg whites whipped to stiff peaks”–recipes that take advantage of this very cool property of egg whites. Egg whites, though 90% water, are chock full of complex proteins. When you whip egg whites, you’re trapping air bubbles in this mess of proteins and water. These air bubbles are maintained by the unfolding egg white proteins, which create a viscous network around the air. The more you whip, the more tiny bubbles are created, eventually leading to the airy foam you want to achieve. Unfortunately, even with the protein network stabilizing the air bubbles, this gorgeous foam won’t last forever. The water will begin to drain out, leaving a dry, useless egg foam on top. Stabilizers, like sugar and vinegar, act, well, to stabilize the foam, letting it last longer before water begins to drain out. Feed has a fairly detailed article about the science of beating egg whites, which you should check out if you’re interested in baking science. (Yay, science!) There are a lot more factors involved in achieving the perfect whipped egg whites, like glass bowls vs. stainless steel vs. copper, but this covers the basics. As it turns out, when I first tried making this cake, I did not know these very important and useful facts about stabilizers. Nor did I have an electric mixer to speed up the process. No, instead, I spent at least 20 minutes at my kitchen counter, whisking away at vinegared whites that just refused to form peaks, stiff or otherwise. When I finally seemed to have gotten somewhere, I paused my whisking, only to notice that my egg whites had lost almost half a cup of fluid to the bottom of the bowl. 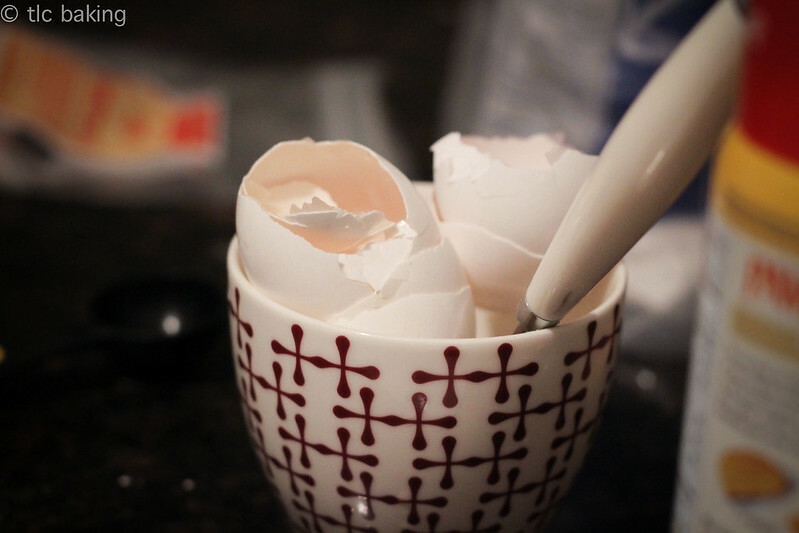 I tossed the pathetic whites and tried again, this time taking extra care and even trying to speed up the process by blending the new egg whites first–but to no avail. I added whatever I could salvage to the batter, crossed my fingers, and put the pan in the oven. The outcome? Definitely not magic. 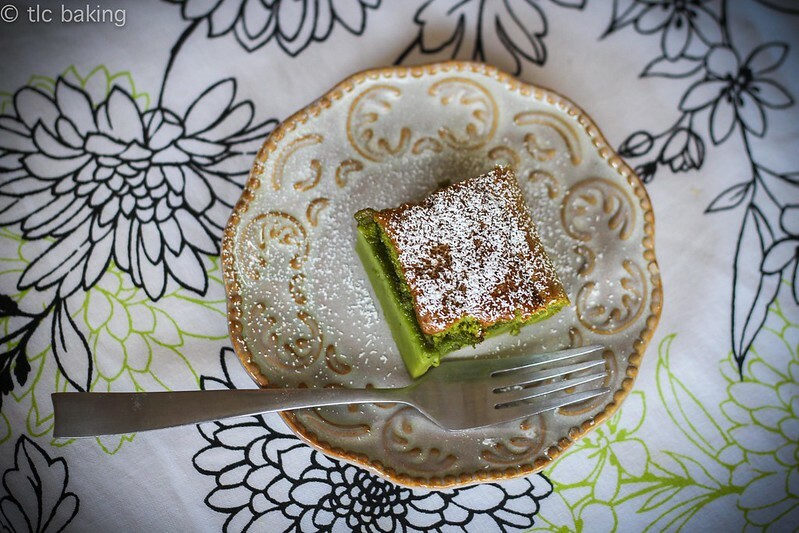 When I went home, I tried the recipe again, but with 1. a KitchenAid, and 2. 1-2 T of sugar added to the egg whites while whipping. Success! I soon had glossy peaks to fold into my batter. 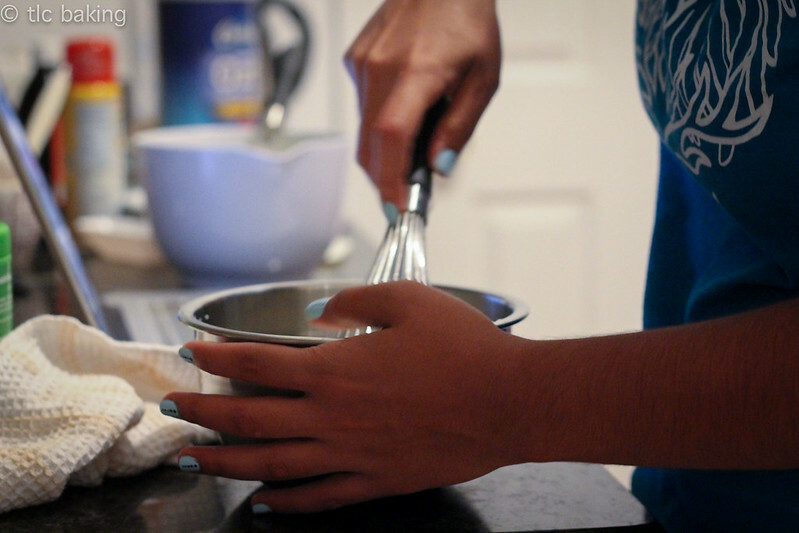 Learn to whip your egg whites right, and don’t be afraid to add some sugar. 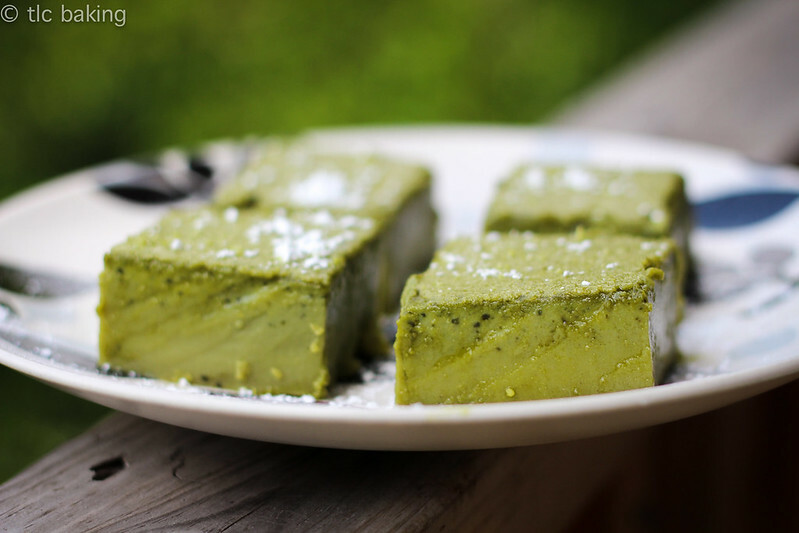 If you don’t like green tea, you can leave right now make this into a chocolate or vanilla custard cake, too! The world is your delicious, magical, custardy oyster. Happy Sunday! 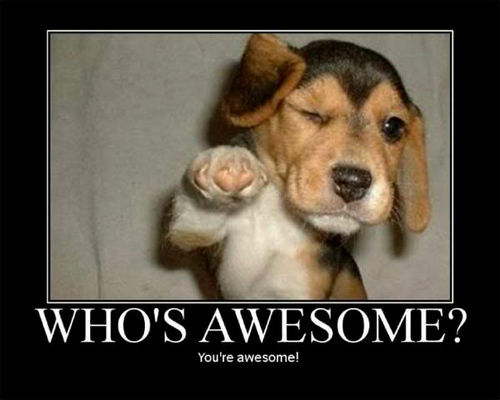 And to those of you who, like me, are putting off your homework: here’s a little motivation for you. Happy fifth week!